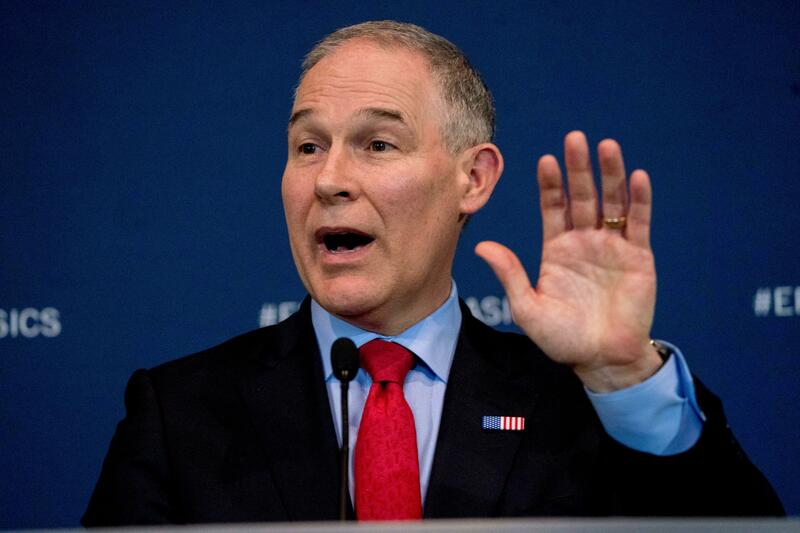 UPDATED: Mon., April 16, 2018, 3:11 p.m.
WASHINGTON – An internal government watchdog says the Environmental Protection Agency violated federal spending laws when purchasing a $43,000 soundproof privacy booth for Administrator Scott Pruitt to make private phone calls in his office. EPA senior legal counsel Sarah Greenwalt, 30, got two raises totaling more than $66,000, bringing her salary to $164,200 a year. Scheduling director Millian Hupp, 26, saw her salary jump to $114,590, with raises totaling more than $48,000. In an unusual management alert issued Monday, EPA Inspector General Arthur Elkins said his staff had reviewed personnel documents for six employees who were hired or had received raises under the Safe Drinking Water Act since Pruitt came to the agency last year. The inspector general said some hiring documents were signed by Pruitt himself, while Chief of Staff Ryan Jackson signed off on forms approving big raises, adding the words “for Scott Pruitt” to his signature. The names of the employees at issue were blacked out from the documents released to the public, though the hire dates and raises awarded to two of the redacted employees exactly matched information for Greenwalt and Hupp. Published: April 16, 2018, 10:27 a.m. Updated: April 16, 2018, 3:11 p.m.